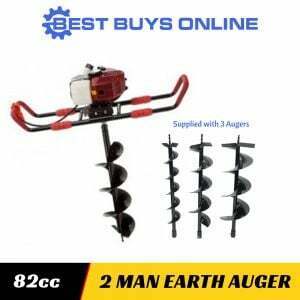 This 49cc One Man Earth Auger is ideal for landscape professionals and tree specialists. 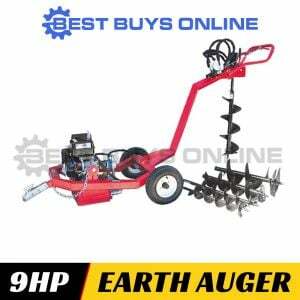 Features a supreme quality Earth Auger and efficient 1.5HP engine, this Earth Auger provides maximum torque with minimum effort, making your works easier and faster. 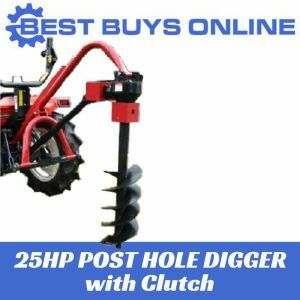 It is perfect for digging fence post holes, planting trees, construction or ice fishing. Anti-vibration foam grip handles that reduce fatigue. 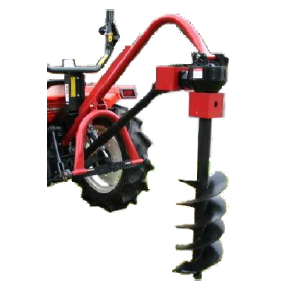 Equipped with 3 different sizes of the augers to meet different needs of users. 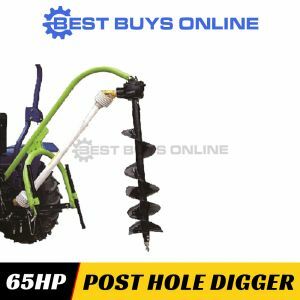 Strong power, beautiful appearance, comfortable operation. 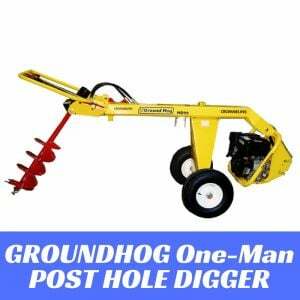 Portable-type, light weight, easy to carry. 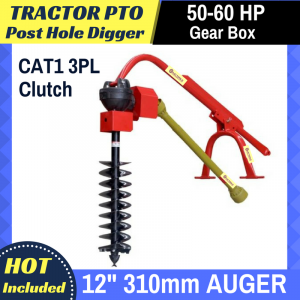 Low noise, easy to start. 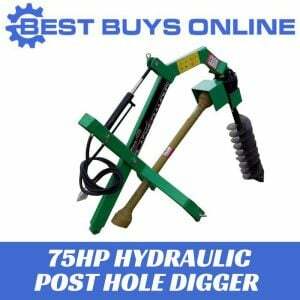 Motor Size: 49CC, 1.5HP, 125:1 fuel mixture. 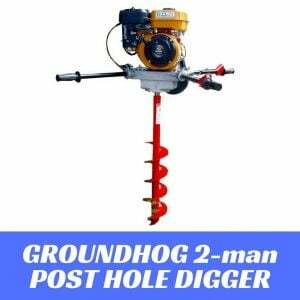 It has a drilling depth of 600mm with 170-200 rpm. 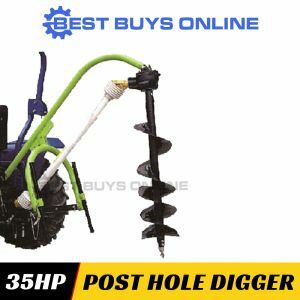 This powerful 49cc earth auger comes up with three different augers 100mm - 150mm - 200mm. 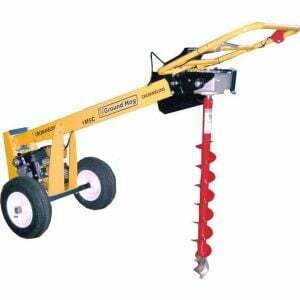 Shipping Dimensions: 21kgs x 85x57x55 skid.